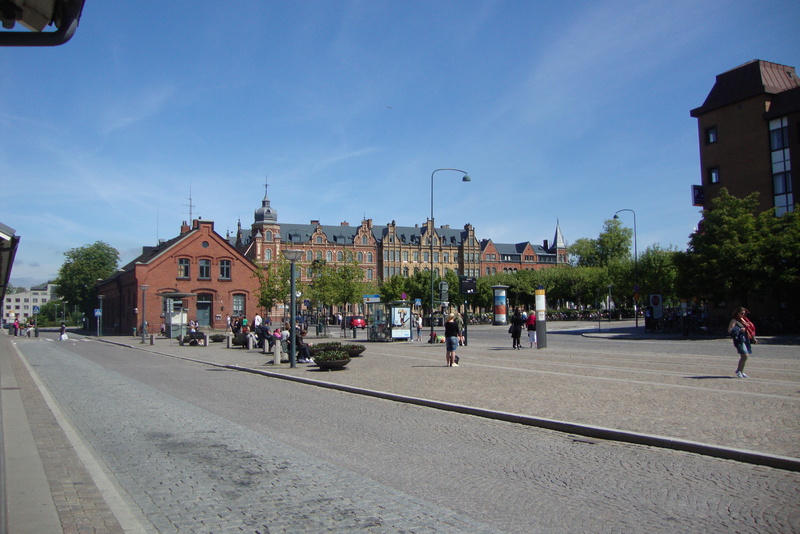 I would describe Lund as a large town. 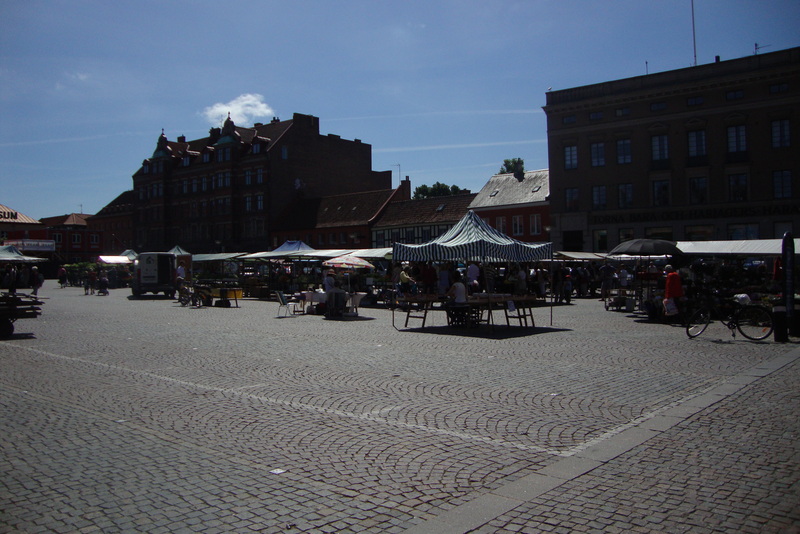 It definitely doesn’t have a “city” feel, but it’s a busy and bustling town with many shops and restaurants. As far as transportation, we walked everywhere. I really enjoyed not being in a car because it allowed us to really explore the streets and experience this adorable town. 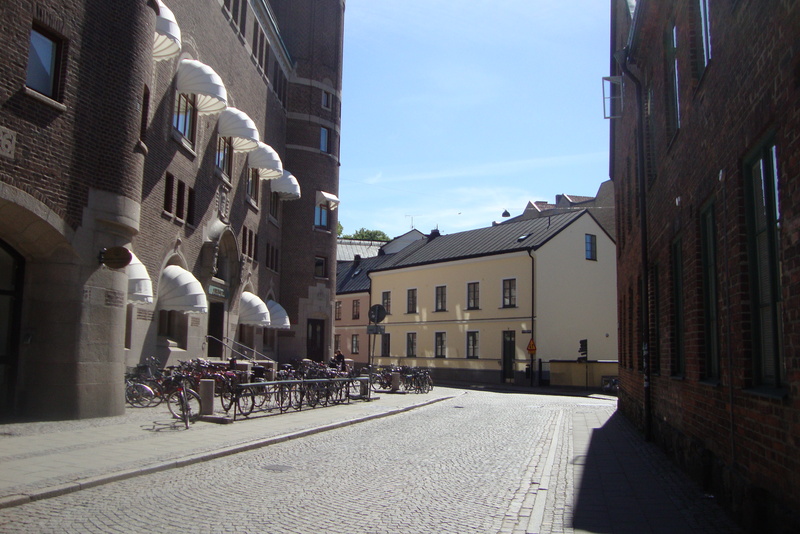 I have to say that I felt incredibly comfortable and safe walking around Lund by myself, which I did on a few different occasions. Both JJ and I also were pleased to find that most people speak English in Sweden and are really nice. 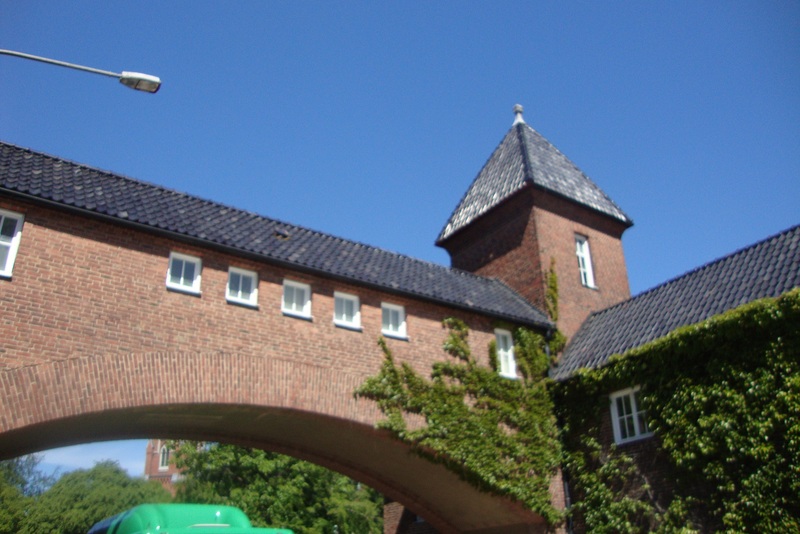 Lund has a few “main” squares, where you can find a market that sells fresh produce, and a shopping district that has H&M, a shopping mall, and the visitor’s center. JJ and I went to the visitor’s center on a number of occasions. 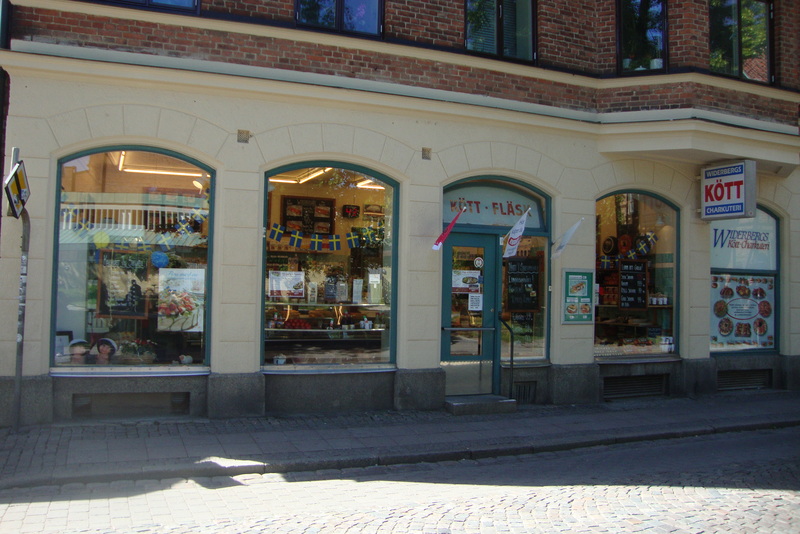 They have free computers for you to use, and also sell traditional Swedish souvenirs. 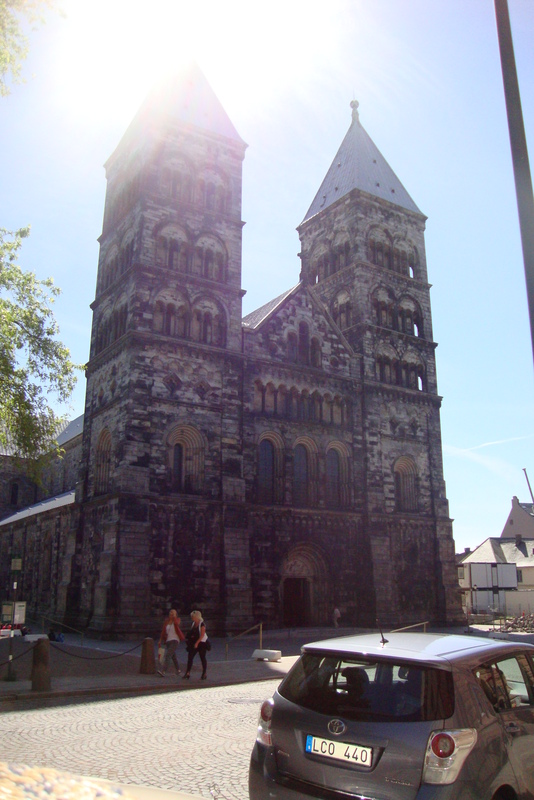 Lund Cathedral is one of the major landmarks in town. It’s near the shopping area and is a really pretty church. 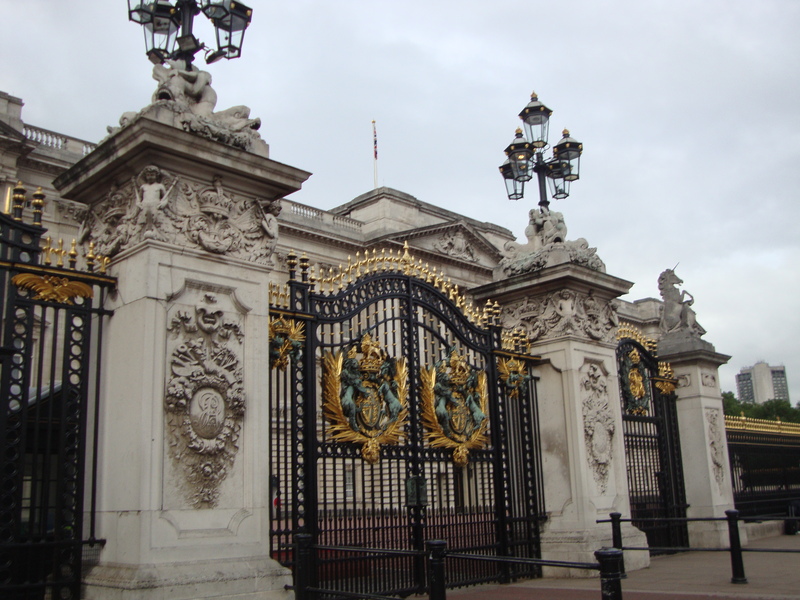 I can’t tell you much about it’s history or anything since we didn’t go inside, but it kept us from getting lost on a number of occasions by serving as a marker to get our bearings straight. 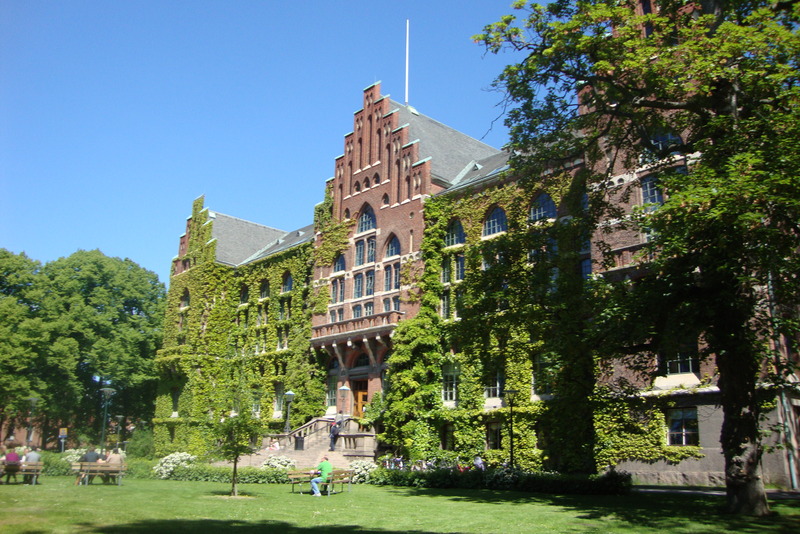 Lund University is right in town, and is a pretty large campus. JJ and I walked from one end to the other so that we could meet up with a friend, and it seems like it took about 30 minutes or so. The library is gorgeous, and is reminiscent of an Ivy League campus. 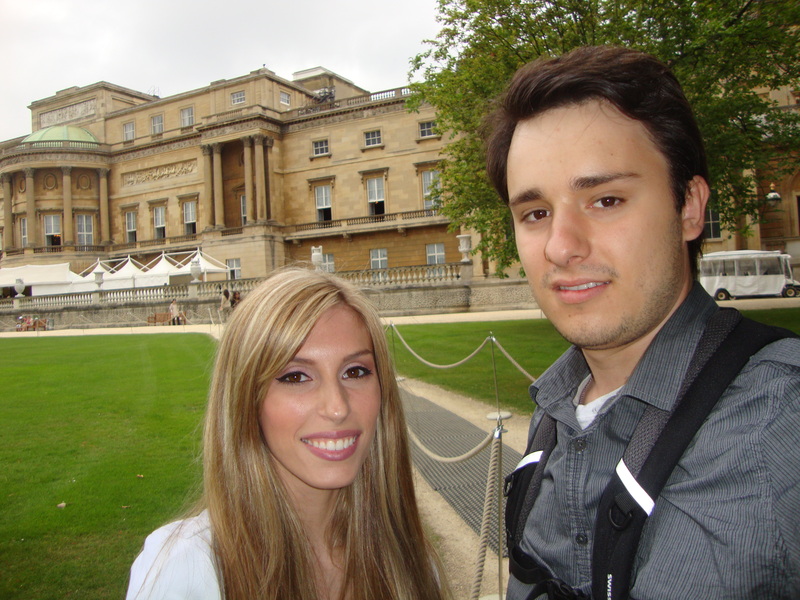 We spent one of the days walking aimlessly around town. 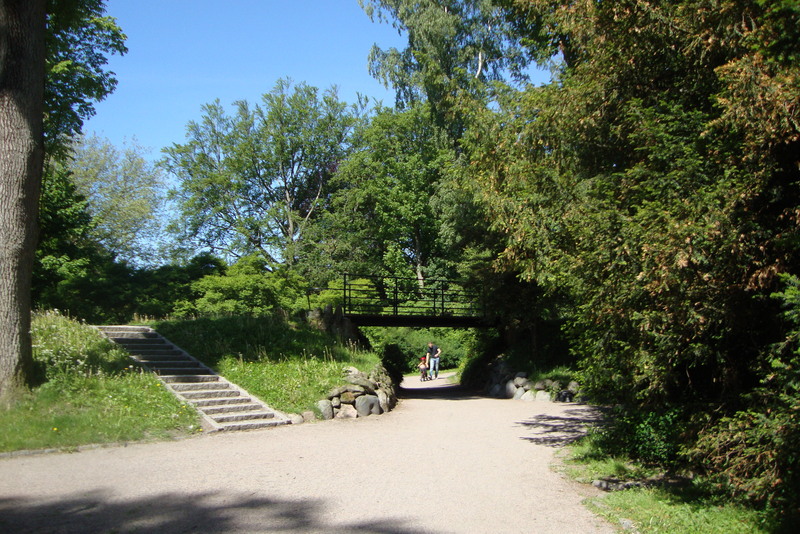 We discovered City Park, which is really green and beautiful. 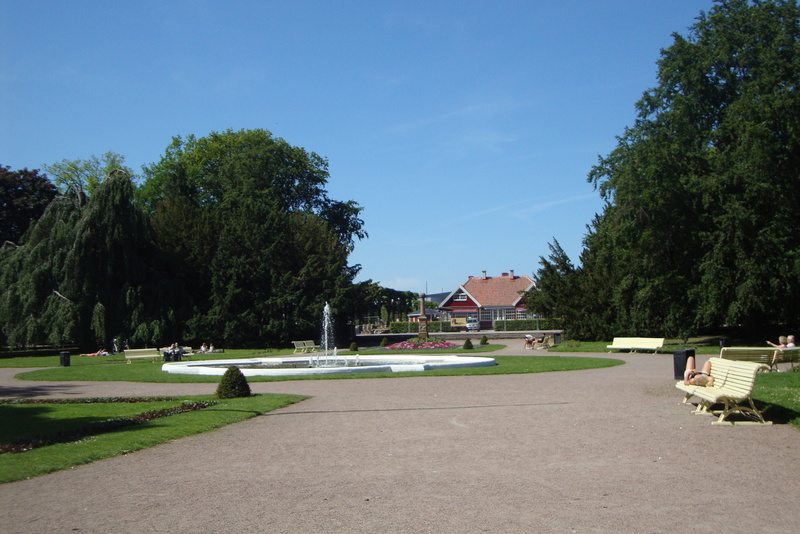 It’s a decent sized park and is frequented by a lot of families. A lot of people are just walking around or relaxing on benches to enjoy the scenery. 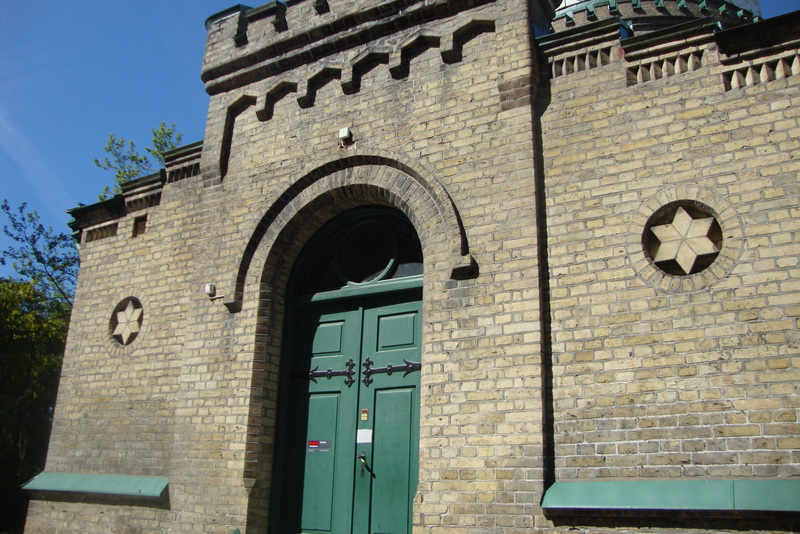 Inside the park, we found what I thought was a synagogue. It turns out that it is an observatory. There aren’t any signs (at least in English) that say what exactly it is, 0ther than one that says it is private property. Overall, this is a beautiful town and I would highly recommend exploring it all on foot. This is easily manageable. 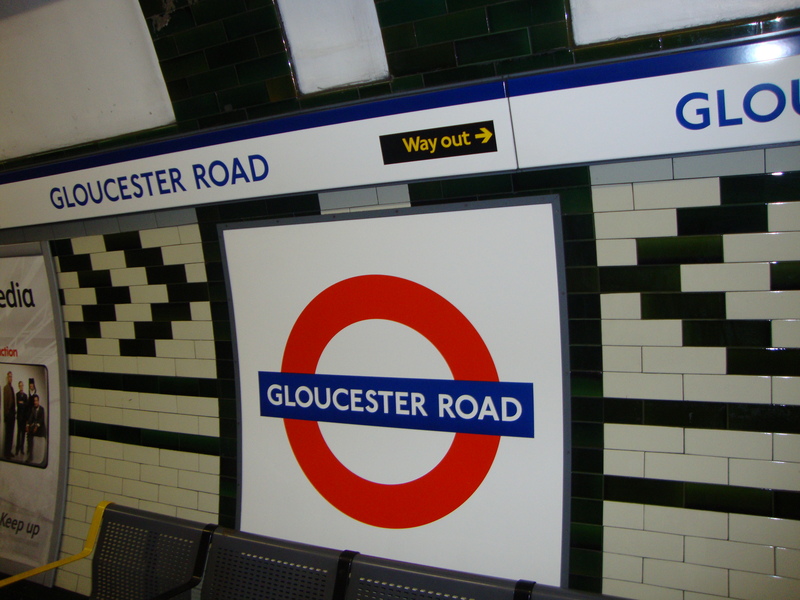 If for some reason you have mobility issues or need to get somewhere quickly, there is a public bus system that is incredibly easy to navigate. You can buy a bus pass at the Pressbyrån convenience store. 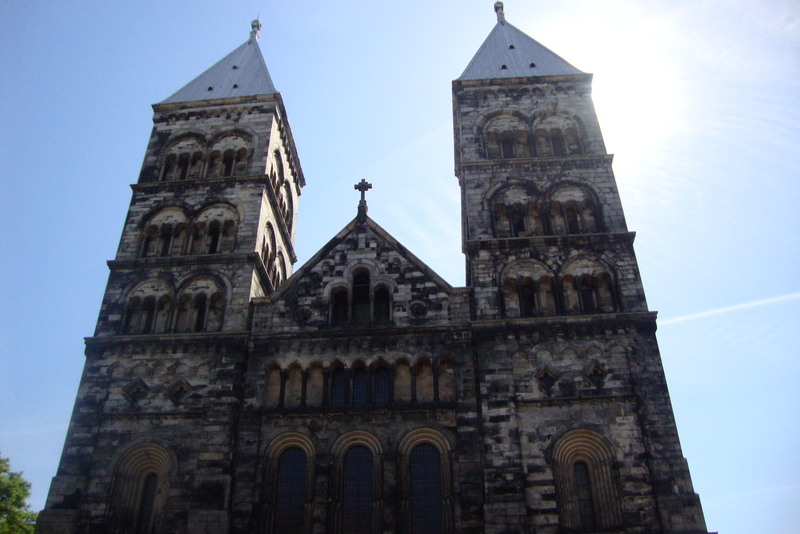 Either way, I became very familiar with central Lund by day 4, and felt “at home” and comfortable with the area very quickly. 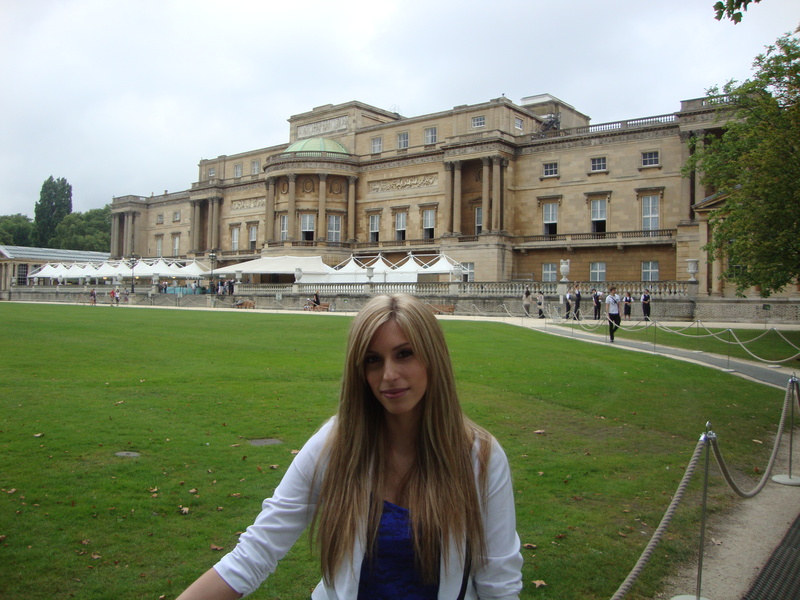 I hope I get a chance to go back one day! Let me start off by saying how highly underrated Swedish food is. Swedish people indulge in some of the most delicious cuisine I’ve had overseas. Despite these indulgent foods, they also manage to say so thin! I’m sure it has something to do with all of that walking, but I would gladly walk five miles a day to eat this type of scrumptious food on a daily basis. Breakfast- Bakeries are the norm for a Swedish breakfast. There are many bakeries to choose from throughout the country and there is a reason for it. 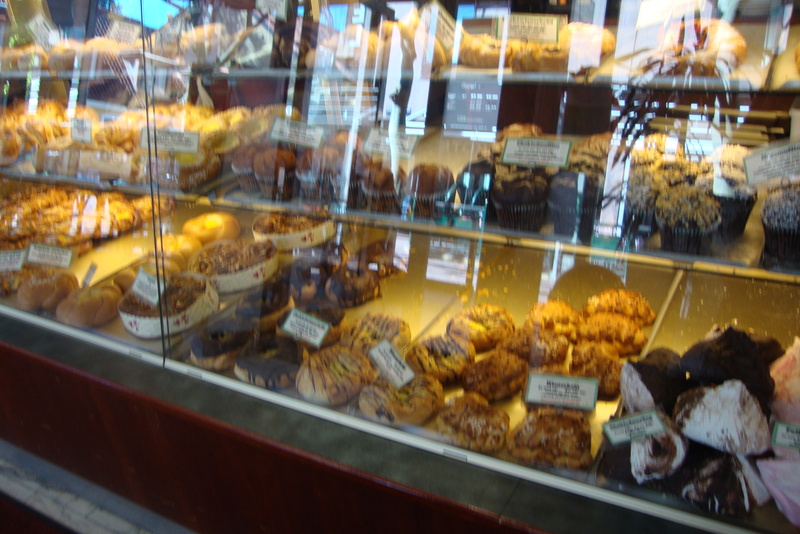 You will definitely find a pastry to your liking, as there are dozens to choose from! 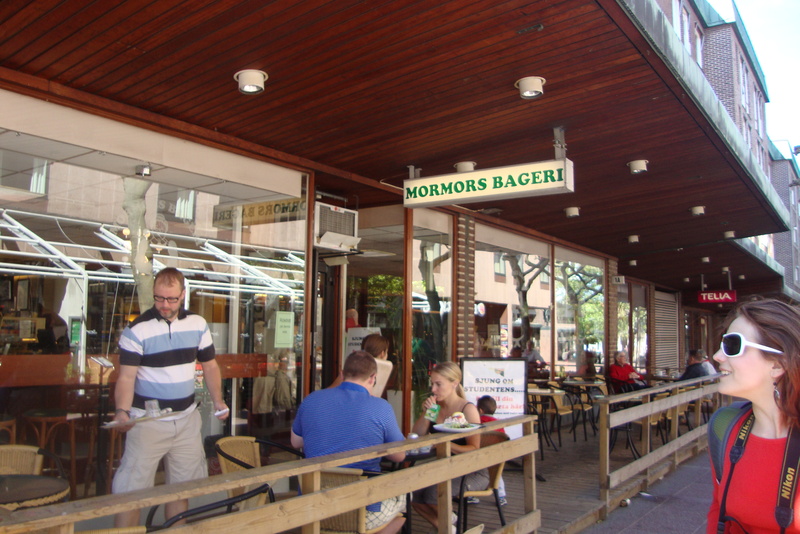 I really enjoyed going to Mormors Bageri in Lund. Since it was summer, we were able to enjoy our food out on the patio. I had a cheese danish with chocolate icing and a chocolate milk to drink. The most popular and traditional pastry item is the cinnamon roll, or kanelbullar. But don’t expect them to look or taste like American cinnamon rolls. In fact, I didn’t even realize what they were until I asked. These rolls don’t have icing on them and they are topped with what looks like salt, but is in fact sugar. Fika- This essentially means “coffee break”. People in Sweden take “fika” very seriously, and it is really a social gathering more than anything. It is common to do this daily, and we certainly did! 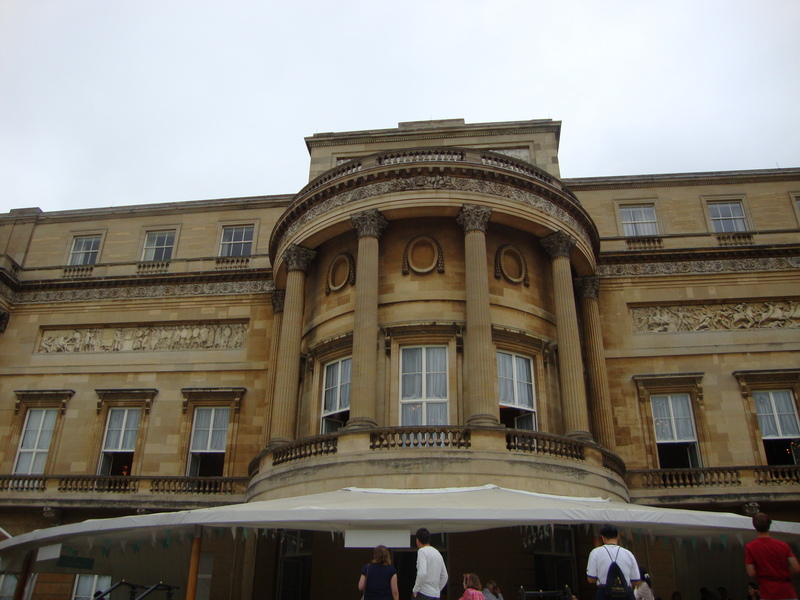 I felt like I had at least three cups of coffee per day while I was here! 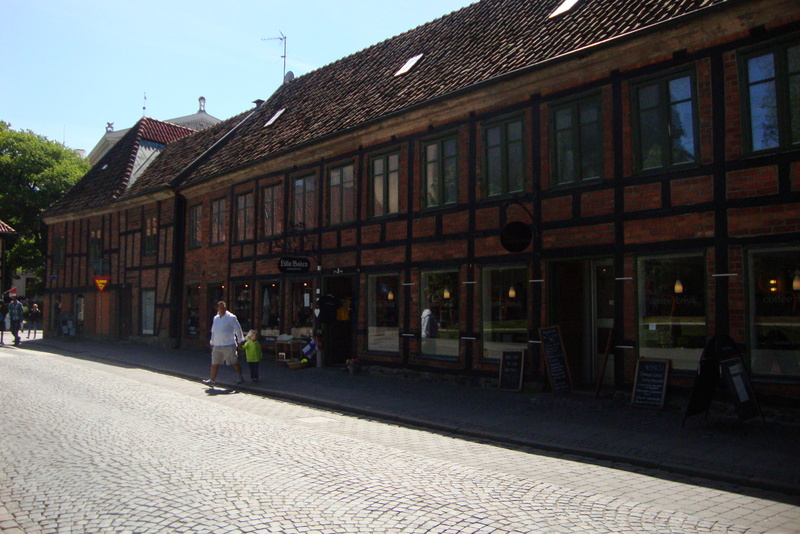 Unfortunately, I didn’t get any photos, but we enjoyed fika at the Espresso House in Lund, which is a local cafe. Lunch- We had a variety of foods for lunch over there, mostly quick sandwiches from cafes. 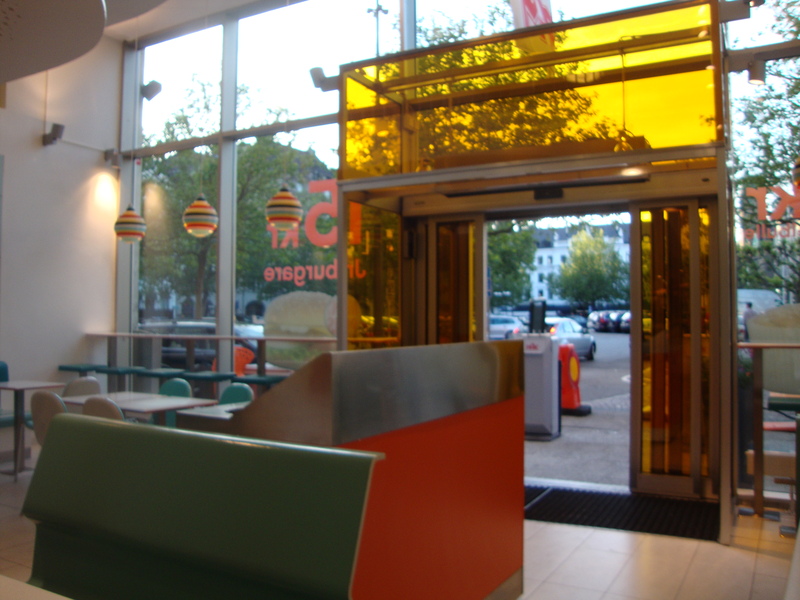 But I did enjoy MAX Burger, which is Sweden’s version of McDonald’s. You’ll find one in any major city in Sweden, and will get a decent quality fast food burger. We went to one in Malmö, which had very contemporary decor. Fast food is a little different in Europe in the sense that there aren’t many drive-thrus. When you eat fast food, you eat inside the restaurant, take your time, and enjoy the experience. I ordered the Cheeseburger meal with fries and a coke. Dinner- I can’t decide what I like more, Swedish Breakfast or Swedish Dinner. On the one hand I love pastries, but on the other, I really love a great Swedish dinner. I’m a meat and potatoes kind of girl, so when I travel overseas I tend to eat at McDonald’s a lot. But Swedish food was heaven for my traditional tastes. 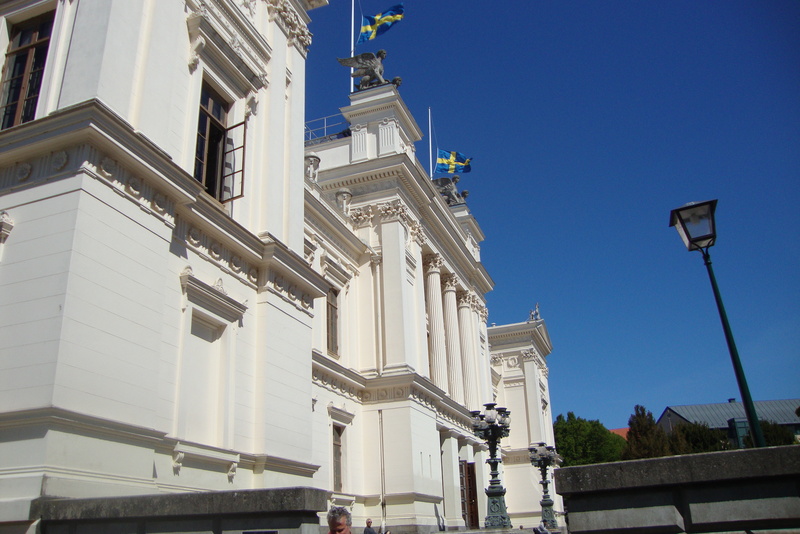 Of course I had to have the Swedish Meatballs, or Köttbullar, as they are called over there. 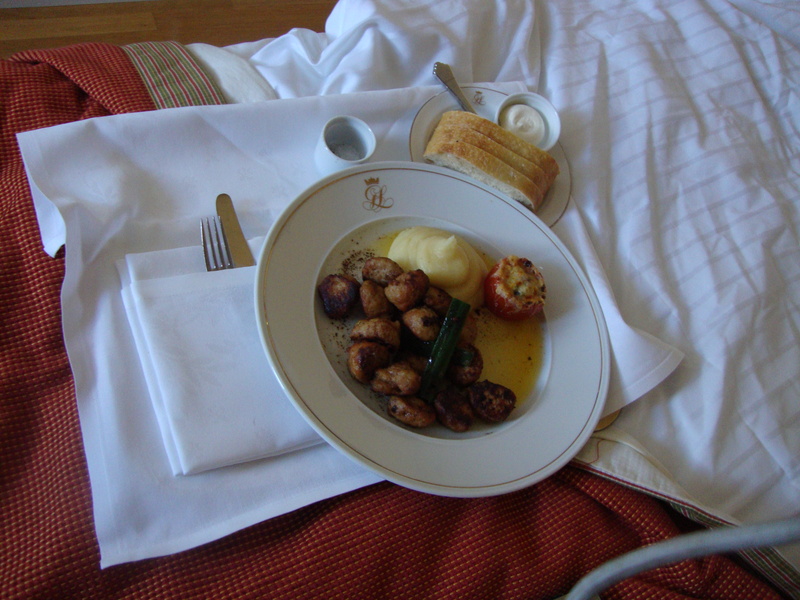 I ordered them through room service at the Grand Hotel in Lund. As you will learn, I have an obsession with room service. When I’m on vacation, I love to stay in for dinner one night and order “authentic” food. That way, if I don’t like it I don’t have to feel bad about leaving my plate full. It also gives me a bit of a break from the chaos of going out to dinner every night. Anyway, these meatballs were so good! They are also quite filling. Most dinners come with potatoes of some sort, and mashed potatoes were a perfect accompaniment with the meatballs. The meal also came with a parmasean-stuffed tomato, and bread and butter on the side. It was simple, but yet, it was perfect. 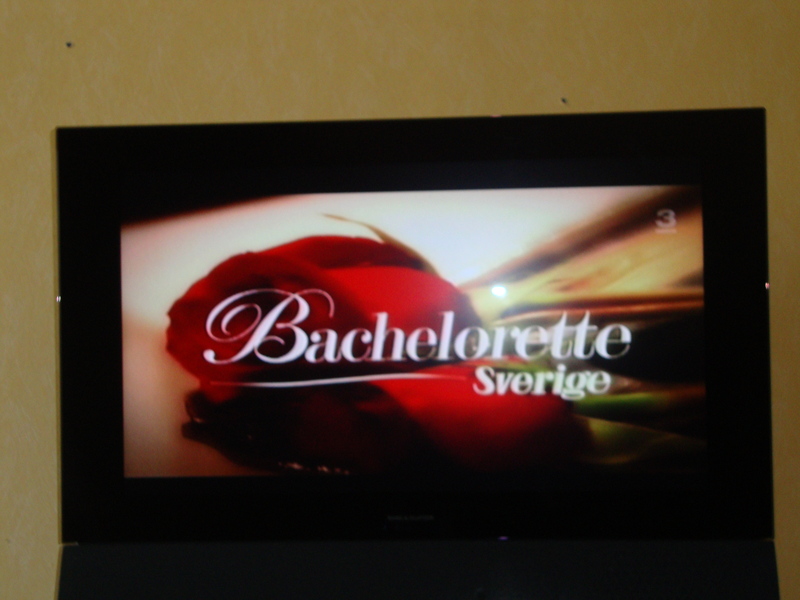 So I enjoyed my meal in bed, while watching the Bachelorette: Sweden. The perfect evening in! 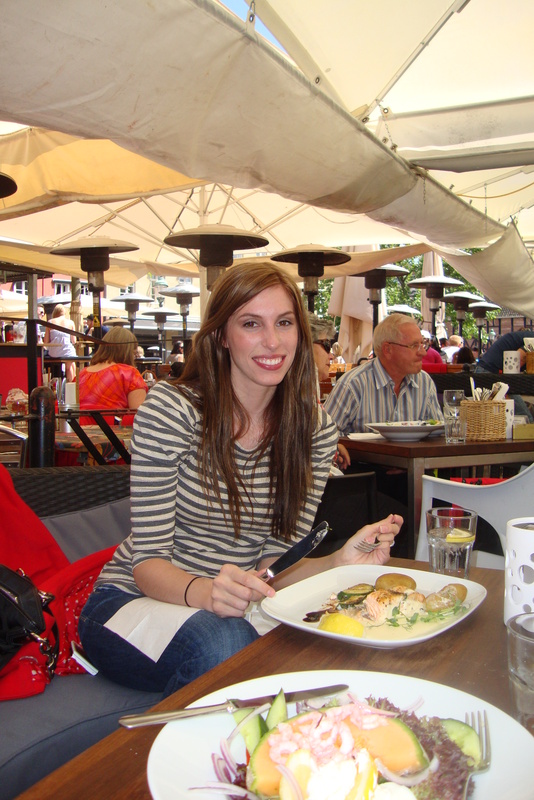 Another great meal that I had in Sweden was a salmon dish. It was fresh and marinated in the most delicious, buttery sauce. Many of the foods I tried here were in really great sauces. It gives basic proteins a lot of variety and just makes them that much better. This salmon came with boiled potatoes. JJ ordered a shrimp and cantaloupe salad, which is at the bottom of the photo. I didn’t taste it myself, but that looked really good as well. Seafood here is great, since you are so close to the sea, and I would highly recommend eating as much of it as you can here. 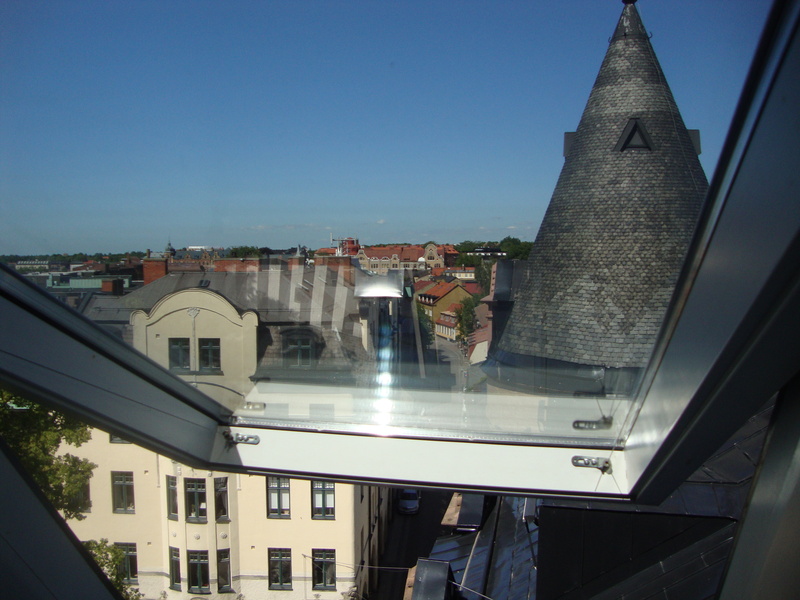 This particular cafe was in a square in Malmö called Lilla Torg. 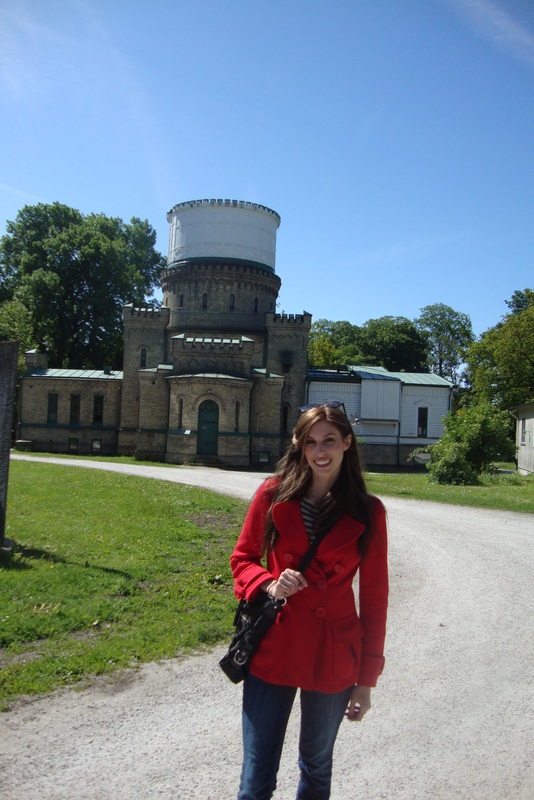 My good friend JJ moved to Lund last summer and I had the opportunity to go with her in June and visit. 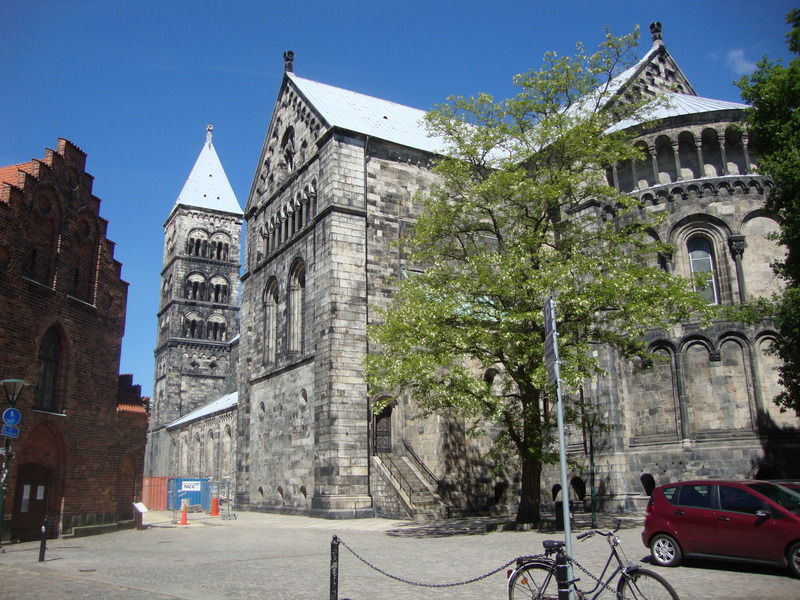 This was my first trip to Sweden, and we flew into Copenhagen, Denmark, which is only a short train ride away from Lund. 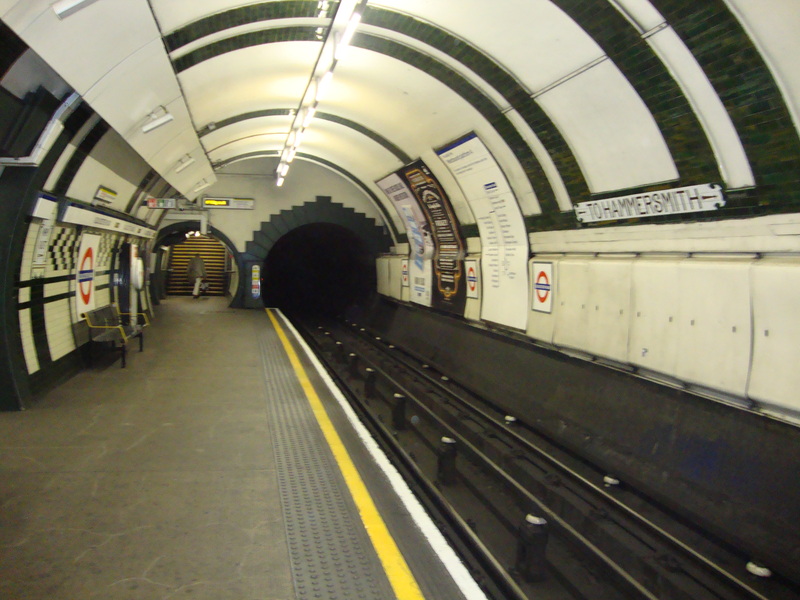 It was really easy to get there by public transportation. 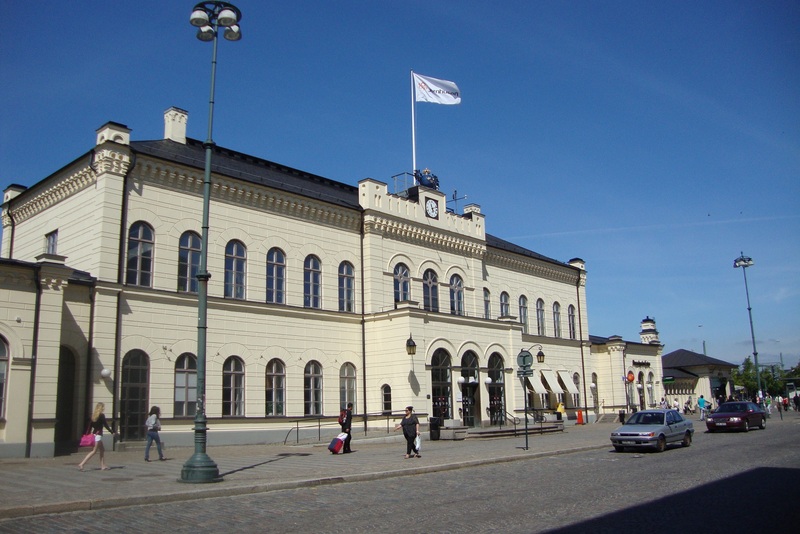 The train station is actually in the airport and can take you directly into Sweden, stopping at Lund Central Station. 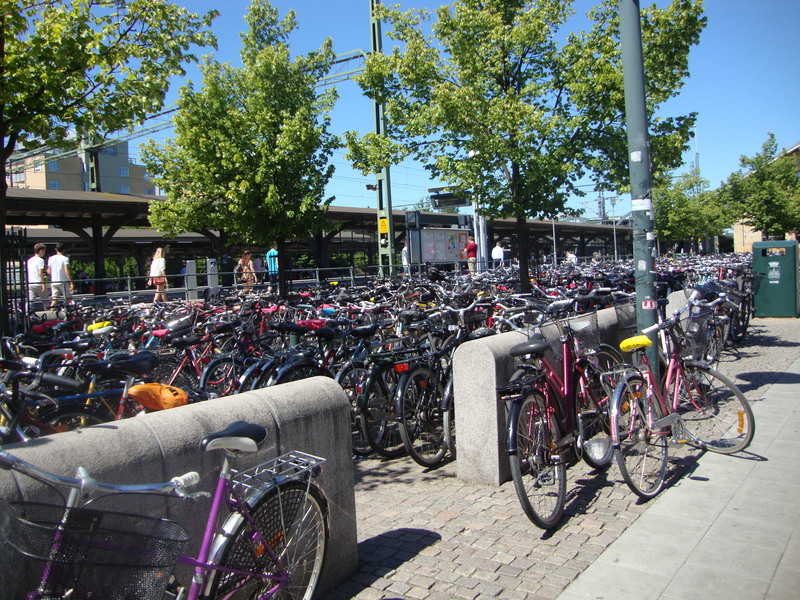 As you can see below, most people either walk or take their bike throughout the town. 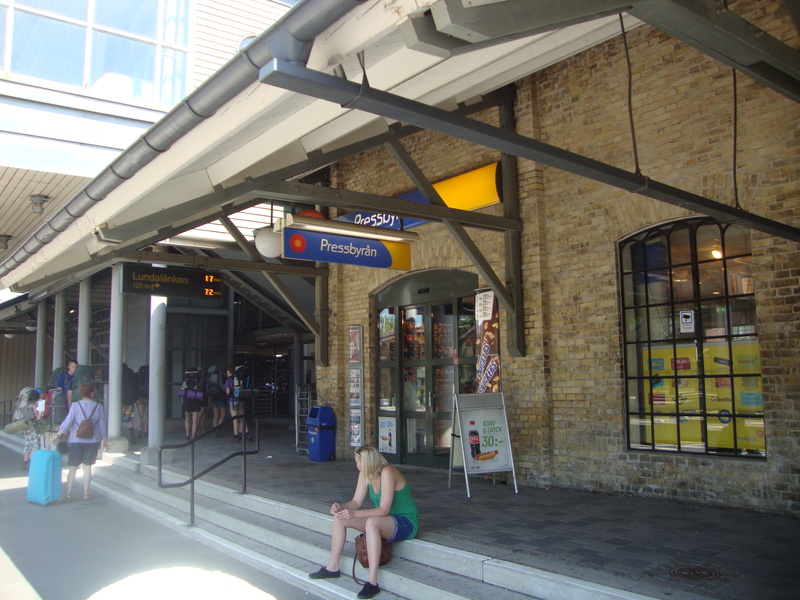 The station also has a Pressbyrån, which is a convenience store that can be found on nearly every corner in Sweden. They sell magazines, newspapers, and of course, hot dogs. We stopped in here for sodas constantly. 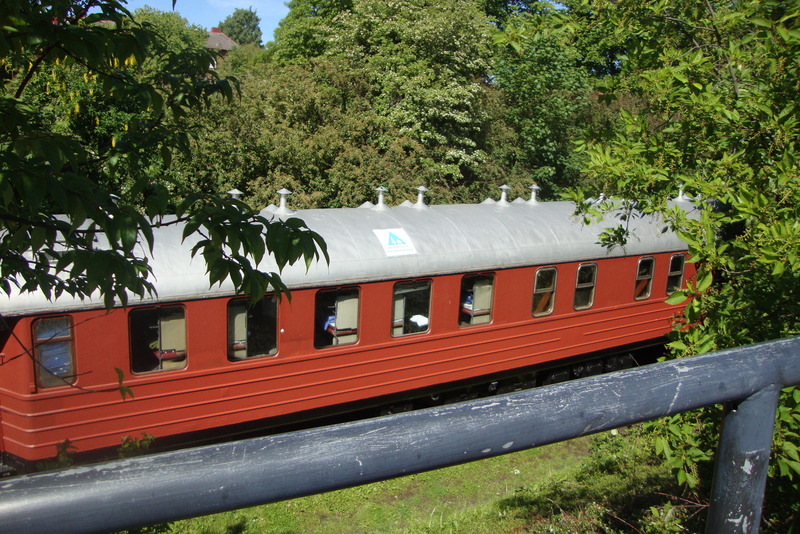 For half of my trip, we stayed at a hostel, which was actually a converted sleeper train. It was really neat, actually! 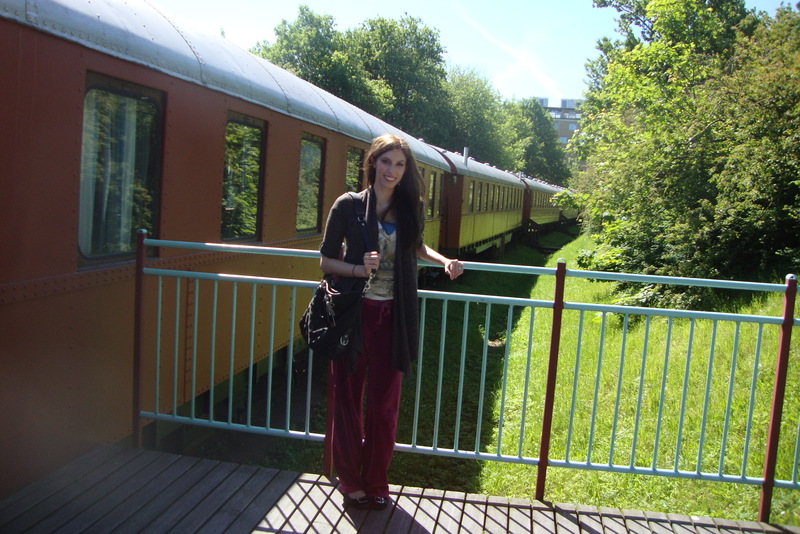 The hostel was literally a walk across the bridge from the train station, so it was an incredibly convenient place to stay. 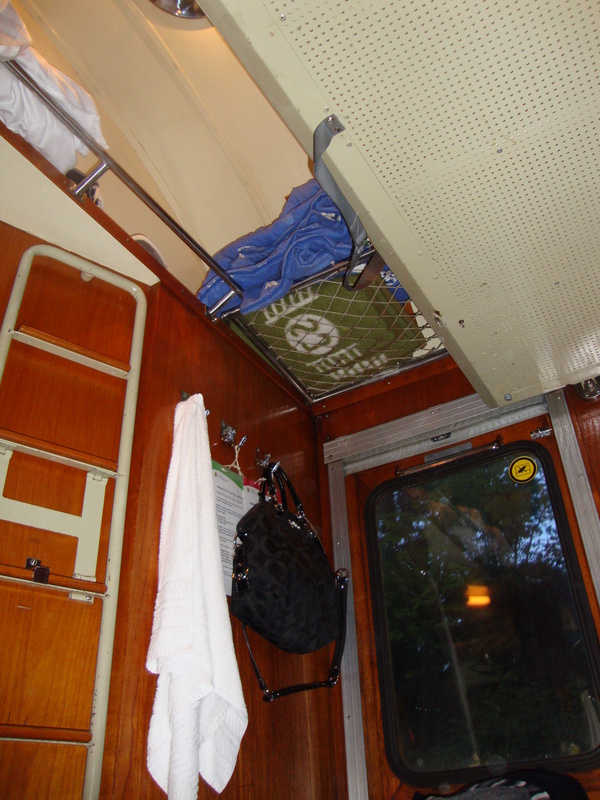 The interior of the train has a dining cart, a central area for wifi use, shared bathrooms (you do have to pay for shower water), and TINY rooms with a bunk for two that are approximately 6 feet long by 3 feet wide. 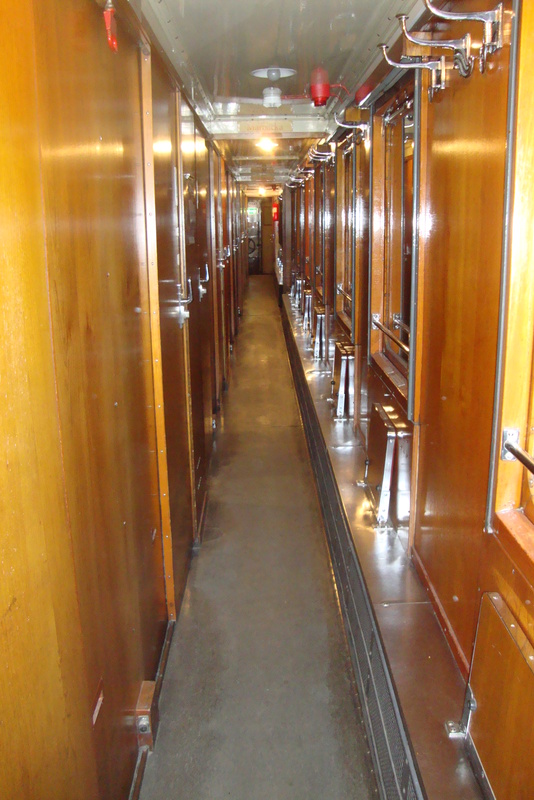 This was a really cool train and everyone was great, but I wouldn’t recommend staying here for long periods of time if you are claustrophobic. Unfortunately, I got really claustrophobic by Day 3, and stayed elsewhere for the rest of the trip, but the experience was definitely once in a lifetime and I would highly recommend trying it out, especially if you’re on a budget or just want a unique experience. 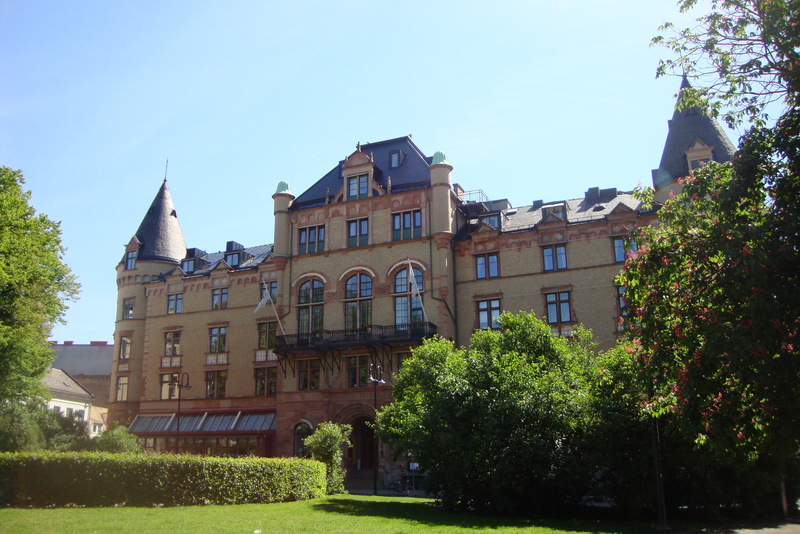 I stayed at the Grand Hotel in Lund for the last part of my stay. I loved this hotel. 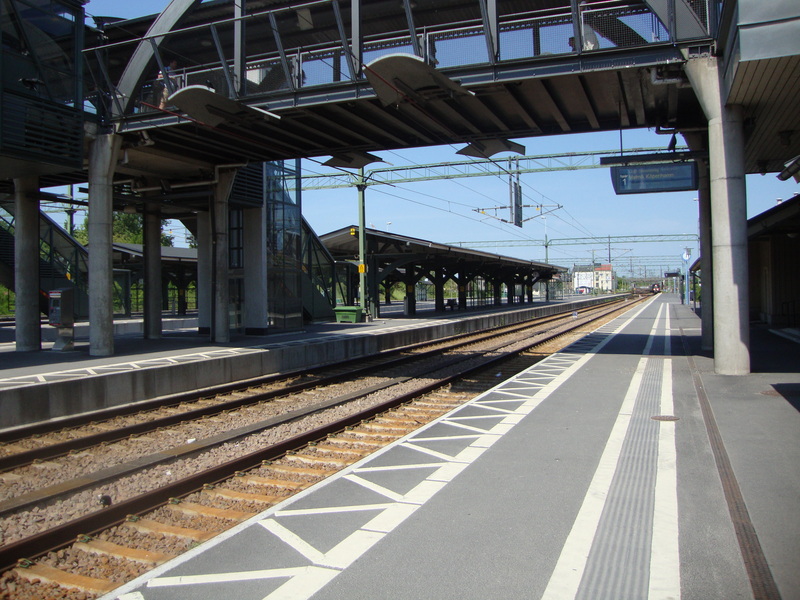 It’s about a two blocks away from the train station and is the biggest and most luxurious hotel in town. I actually stayed here by myself and was given a room on the top floor of the hotel. This meant that I had to take the elevator and then go up an extra flight of stairs with my luggage. I loved my little room and it was updated, but there is no air conditioning. 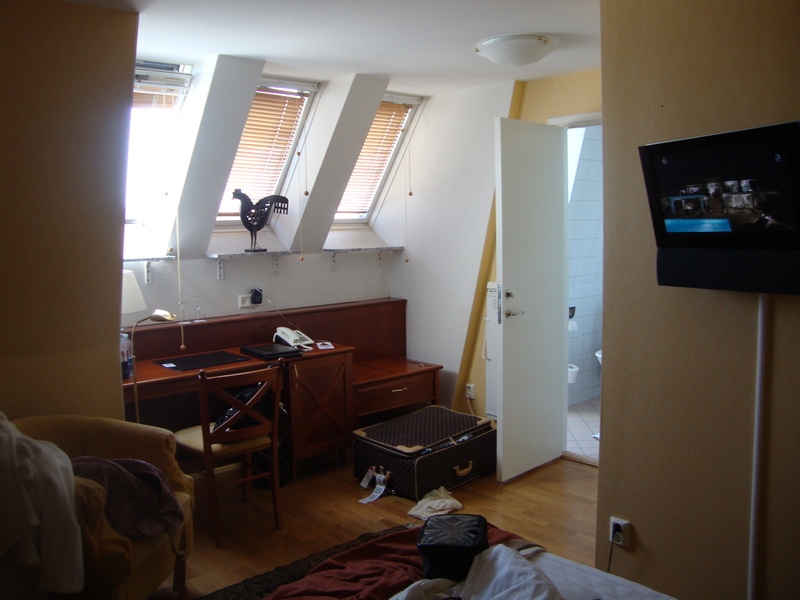 This is fairly common in Europe, but being on the top floor with a lot of incoming light left me well overheated. Nonetheless, room service was nice enough to open my windows for me and let some breeze inside the room.